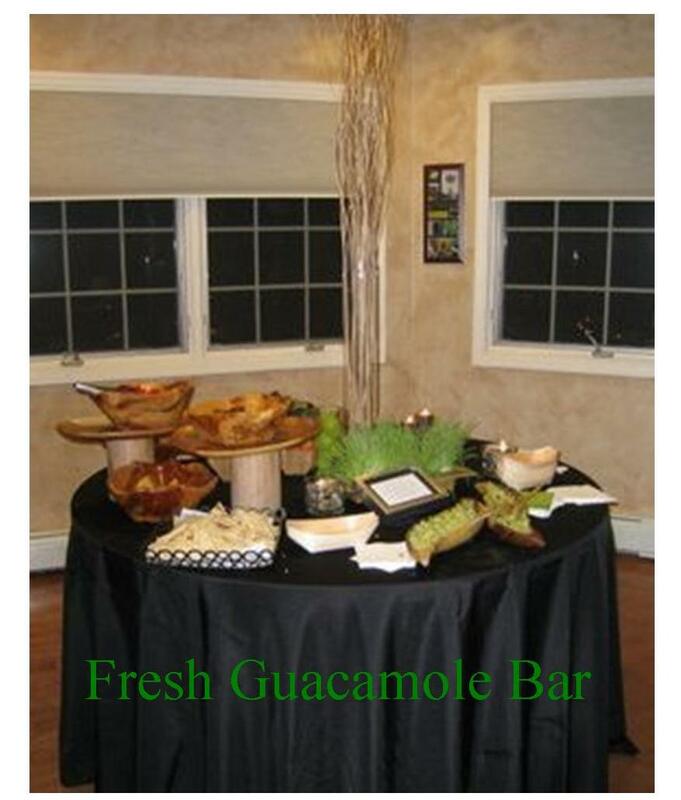 Earlier in the month we had the pleasure of catering an engagement party for the owner of Party Art LLC at her home. We customized the menu to fit the flow of a fun cocktail celebration. During the cocktail hour the guest were blown away by our fresh guacamole station and butler passed hors d’oeuvres followed by an urban slider bar and small plates station for dinner. 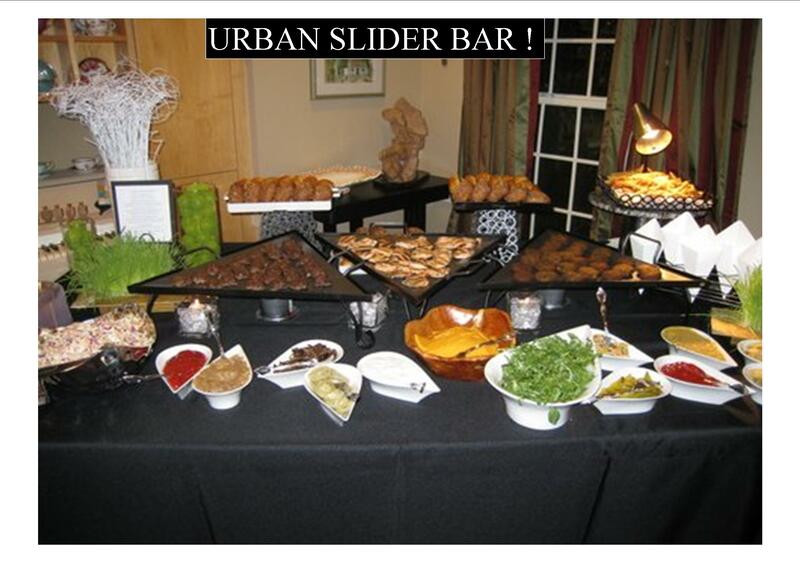 Our unique urban slider bar is a fun and gourmet way to offer guests an all time favorite food! The guests have three different types of “burger” options to choose from and the toppings that go with each style. At this party the client chose to offer the guests a Black Angus Beef Burger (w/Caramelized Onions, Roasted Mushrooms, Aged Cheddar Cheese, and Soft Brioche Rolls ) , Grilled Salmon Medallions (w/Dill Crème Fraiche, Pickled Red Onions Watercress, and Multi Grain Rolls) and the Mediterranean Veggie Burger (w/Olive Tapenade, Roasted Pepper & Artichoke Relish, Arugula and Basil, Semolina Rolls). Our display is designed so that guests can pick their slider and top with what fits their taste buds. These unique stations were a huge hit and provided the guests with a great variety of tasty food. We find that the more variety your guests have the better the overall experience of the event will be. We love to customize menus, call us to create your next event!